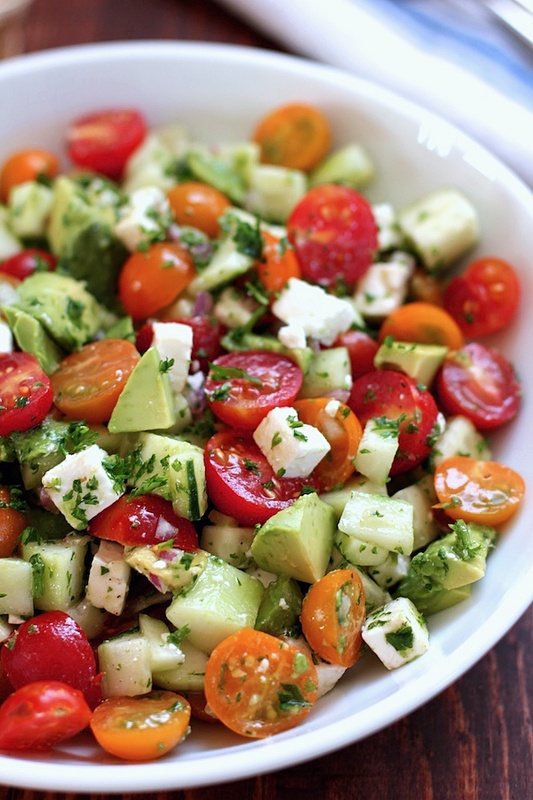 Tomato Cucumber Avocado Salad - This tomato, cucumber, avocado salad is an easy, healthy, flavorful salad. It’s crunchy, fresh and simple to make. It’s a family favorite and ready in less than 15 minutes.